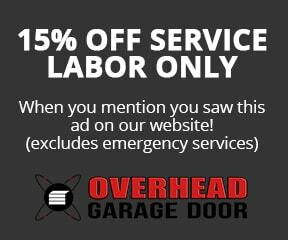 Crystal Lake Garage Door Repair & Installation | Overhead Garage Door Inc. Overhead Garage Door Inc. is dedicated to continuing the comforting and peaceful feel of Crystal Lake by providing excellent garage door installation services to its residents. Through our certified dealer at Clopay Garage Doors, our Crystal Lake customers are able to custom select a garage door for their home. This insures that our customers are able to obtain the exact new garage door they are searching for. Our garage door experts at Overhead Garage Door Inc. are there to help our customers through every step of the process from selecting the right garage door for your home, to the installation process and also the technical aspects. But Overhead Garage Door Inc. doesn’t stop there. Not only are we experts in assisting our Crystal Lake customers select and install the right product, but we are also there to help with the upkeep as well.